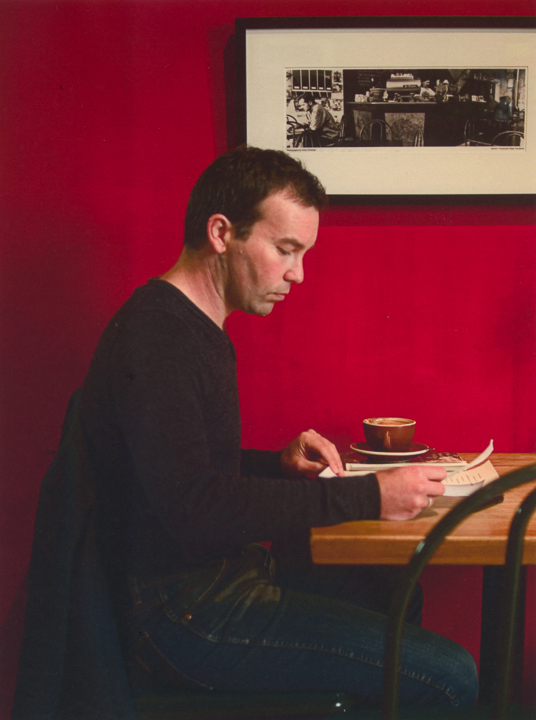 Sam Sampson's first book of poems Everything Talks, was published in 2008 by Auckland University Press (NZ) and Shearsman Books (UK) and won the 2009 NZSA Jessie Mackay Best First Book Award for Poetry. In 2007 he was selected as the Curnow Reader at the Going West Festival. Collaborations with visual artists and photographers has seen the production of chapbbooks, photobooks, and artworks: such as, the 2010, Broken Architecture / Salt Away (a selection of poems, published as part of the Duets chapbook series, which pairs poets from New Zealand and the United States); the 2012 and 2015 collaborative exhibitions with collage artist Peter Madden at the Ivan Anthony Gallery and Gus Fisher Gallery (2015), and in April 2012 a collaborative bookwork ...exclusivity dwells in habitat with photographer Harvey Benge. In April 2013, the poem 'All the Everlasting Cataracts' was included in the online collection: Best New Zealand Poems 2012. Halcyon Ghosts reads as an investigation of the Romantic scored serially. A collection of delicately composed cartography / scenography / choreography, and yet such rich language. Words in flight. The NZ critic Paula Green reviewed Halcyon Ghosts calling it both 'breathless and breathtaking'.